So I received an unmarked piece of mail the other day, and whenever that happens, I know it’s going to contain some kind of nonsense. Upon opening the letter, which I could have easily just thrown away, I discovered that it was a mortgage solicitation. Fun! More specifically, it was a refinance offer from a random mortgage company. It began by informing me that their “loan restructuring team” had reviewed my loan and determined that I might be able to refinance my mortgage to a new low rate. Sweet! Although I think they’d have a lot of trouble getting my interest rate any lower. Even better, they mentioned that as an added “bonus,” I might get the opportunity to skip one or even two mortgage payments. Wow! That’s amazing! 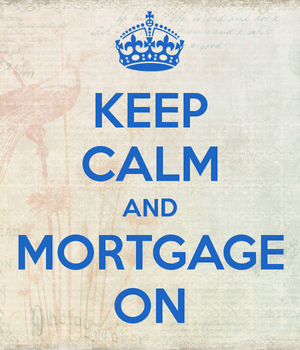 Skip a Mortgage Payment or Skip Writing a Check? Here’s the thing with skipping mortgage payments. It’s kind of a misnomer because you don’t really skip a payment, you skip writing a check to your lender, or sending a monthly payment electronically. In reality, you still pay interest each and every day that you live in your home and hold a mortgage; it’s just disbursed a little differently between the two lenders. Skipping one mortgage payment is pretty standard. For example, if your refinance closes on October 10th, you wouldn’t have to make your next mortgage payment until December 1st because mortgages are paid in arrears. In other words, you pay September’s interest with your October mortgage payment, and October’s interest is prepaid at closing with the new loan because it occurs mid-month. However, this scenario assumes that you make your October payment to your old lender before the October 15th grace period. In order to skip two mortgage payments, you’d need to close your refinance sometime prior to the 15th of the month, before the payment on the old mortgage is due (using the grace period to delay and avoid payment). This way you wouldn’t need to make the October payment to your old lender, so your final payment (to the old mortgage) would be the September mortgage payment (interest due from August). Then you wouldn’t have a mortgage payment due until December 1st because interest for September and October is paid via the refinance. However, you still actually pay the interest due for September and October. It’s not avoided by any means. It just isn’t paid to your lender directly in the form of a monthly mortgage payment. Instead, it is included in the loan payoff or paid upfront at closing as prepaid interest. Then interest accrued in November is paid with your December mortgage payment via your new mortgage. Tip: This can be dangerous if your loan doesn’t close by the 15th and you’re assessed a late fee, so tread carefully while trying to skip two mortgage payments. So I’m Just Delaying My Mortgage Payments? The takeaway here is that you don’t actually skip any interest, you just skip over the payment(s). Once the first payment is due on your new mortgage, you’ll be making 360 payments if it’s a 30-year mortgage (or 180 payments if it’s a 15-year mortgage). It’s a bit of a joke that lenders send out these solicitations telling you that it’s a special bonus to skip a mortgage payment (or two) because you still have to pay all the interest due. The only potential value is added cash flow if you need your money for something else in the short term. And that’s not necessarily a bonus everyone wants or needs. At the same time, the skipped payment(s) means the refinance will extend the term of your loan, so your mortgage will take that much longer to be paid off in full, assuming that’s your goal. There’s nothing inherently wrong with skipping mortgage payments, but you should know what you’re really “getting” by doing so. And it ain’t that special. Read more: Creative ways to pay off your mortgage early.